A crowd celebrating the start of the New Year in Times Square, New York. Public holidays in the United States of America are not mandated by any government agencies, whether it be federal, state, or local governments. There are no national holidays on which all businesses are closed by law. Federal holidays are only established for certain federally chartered and regulated businesses (such as federal banks), and for Washington, D.C.. All other public holidays are created by the States; most states also allow local jurisdictions (cities, villages, etc.) to establish their own local holidays. As a result, holidays have not historically been governed at the federal level and federal law does not govern business opening. Some states restrict some business activities on some holidays. As of 2012, there are eleven federal holidays in the United States, ten annual holidays and one quadrennial holiday (Inauguration Day). Pursuant to the Uniform Monday Holiday Act of 1968 (effective 1971), official holidays are observed on a Monday, except for New Year's Day, Independence Day, Veterans Day, Thanksgiving, and Christmas. While all current federal holidays have also been made public holidays in all 50 states for federal organizations, each state is not bound to observe the holidays on the same dates as the federal holidays. Many states also have additional holidays that are not observed by the U.S. federal government. Many businesses likewise observe certain holidays as well, which are also not mandated by any government agency. A list of "recommended diversity holidays" recognizes many cultures that range from Christianity to Hinduism, as well as racial diversity where various ethnic holidays such as St. Patrick's Day and Diwali are celebrated by individuals in the workplace, as a matter of best practice. Today, the United States is the 85th most ethnically diverse in the world. While the popularity of each public holiday cannot be measured, most Americans generally regard Christmas as the most popular if the measurement was done by greeting card sales. Major retail establishments such as malls, shopping centers and most retail stores close only on Thanksgiving and Christmas and some on Easter Sunday as well, but remain open on all other holidays (early closing on Christmas Eve and New Year's Eve, and sometimes on other major holidays). Virtually all companies observe and close on the major holidays (New Year's Day, Memorial Day, Independence Day, Labor Day, Thanksgiving, and Christmas). Some non-retail business close on the day after Thanksgiving (Black Friday) while some (such as federal banks and post offices) are not allowed to close on the day after Thanksgiving. Some smaller businesses normally open on Sunday will close on Easter Sunday, if it is their experience they will have very few customers that day. A Christmas holiday display with over 3.5 million lights in Clifton, Ohio. Federal holidays are designated by Congress in Title V of the United States Code (5 U.S.C. § 6103). A federal holiday is a day off for federal government employees. State governments generally observe federal holidays. Most private companies and certain other businesses, such as the United States Postal Service, observe some or all federal holidays as well. If a holiday falls on a Saturday, the federal government celebrates it the preceding Friday; if a holiday falls on a Sunday the federal government celebrates it the following Monday. Most, but not all, states also observe a Sunday holiday on the following Monday. States may observe a Saturday holiday on the preceding Friday, on the following Monday, or not at all. Private companies and other businesses are not required to follow either the federal government or state government holidays. In particular, banks that close on Saturdays do not observe a federal holiday when it falls on Saturday. January 1 (Fixed) New Year's Day Celebrates beginning of the Gregorian calendar year. Festivities include counting down to 12:00 midnight on the preceding night, New Year's Eve, often with fireworks display and party. The ball drop at Times Square in New York City has become a national New Year's festivity. Traditional end of Christmas and holiday season. Third Monday in January Birthday of Martin Luther King, Jr. Honors Dr. Martin Luther King, Jr., Civil Rights leader, who was actually born on January 15, 1929; combined with other holidays in several states. Some cities and municipalities hold parades; and more recently, the 1994 King Holiday and Service Act, which was passed to encourage Americans to transform the King Holiday into a day of citizen action volunteer service, has gained in popularity (sometimes referred to as a National Day of Service). Third Monday in February (Presidents' Day) Washington's Birthday Washington's Birthday was first declared a federal holiday by an 1879 act of Congress. The Uniform Holidays Act, 1968, shifted the date of the commemoration of Washington's Birthday from February 22 to the third Monday in February (between February 15 and 21, meaning the observed holiday never falls on Washington's actual birthday). Because of this, combined with the fact that President Lincoln's birthday falls on February 12, many people now refer to this holiday as "Presidents' Day" and consider it a day honoring all American presidents. However, neither the Uniform Holidays Act nor any subsequent law changed the name of the holiday from Washington's Birthday to Presidents' Day. July 4 (Fixed) Independence Day Celebrates the signing of the Declaration of Independence from British rule, also called the Fourth of July. Fireworks celebration are held in many cities throughout the nation. First Monday in September Labor Day Celebrates the achievements of workers and the labor movement; marks the unofficial end of the summer season. November 11 (Fixed) Veterans Day Honors all veterans of the United States armed forces. It is observed on November 11 to recall the end of World War I on that date in 1918 (major hostilities of World War I were formally ended at the 11th hour of the 11th day of the 11th month of 1918 when the Armistice with Germany went into effect). Fourth Thursday in November Thanksgiving Day Traditionally celebrates the giving of thanks for the autumn harvest. Traditionally includes the sharing of a turkey dinner. December 25 (Fixed) Christmas The most widely celebrated holiday of the Christian year, Christmas is observed as a commemoration of the birth of Jesus of Nazareth. Federal Holidays Calendars from the U.S. Office of Personnel Management. In 1975, the one notable holiday called Victory Day, also called "VJ Day" and "Victory over Japan Day" was abolished after being in place since 1948. According to this article and other sources, some claim the holiday to be racist and generally encourages hate against the Japanese Americans, and possibly other races from Asia. Also, the fact that an atomic bomb was used to end the war with Japan is seen as cause for its abolition. Today, only the U.S. state of Rhode Island still officially observes this holiday with public offices and schools being closed. Fast Day was a holiday observed in some parts of the United States between 1670 and 1991. "A day of public fasting and prayer," it was traditionally observed in the New England states. It had its origin in days of prayer and repentance proclaimed in the early days of the American colonies by Royal Governors, often before the spring planting (cf. Rogation Days). It was observed by church attendance, fasting, and abstinence from secular activities. The earliest known fast day was proclaimed in Boston on September 8, 1670. Fast day had lost its significance as a religious holiday by the late 19th century. It was abolished by Massachusetts in 1894 (being replaced with Patriots' Day) and shortly thereafter by Maine, which also adopted Patriots' Day. It continued in New Hampshire until 1991, signifying only the opening of the summer tourist season; the April holiday was dropped and replaced with the January Civil Rights Day in 1991, and then in 1999, Martin Luther King, Jr. Day. Additional holidays have been proposed. According to an article from CBS, federal holidays are generally "expensive" and they only allow federal workers to take the day off. As the U.S. federal government is a large employer, the holidays are expensive. If a holiday is controversial, opposition will generally cause bills that propose such holidays to die. Martin Luther King Jr.'s birthday, for example, was one that took much effort to pass. And once it did pass, it took more effort for all states to eventually recognize it. The following list is an example of holidays that have been proposed and have reasons why they are not observed at the federal level today. Some of the holidays are observed at the state level. Third Monday of February Susan B. Anthony Day The holiday was proposed by Carolyn Maloney in a H. R. 655 on February 11, 2011. Today, the bill is dead. Third Monday in May Malcolm X Day The holiday was proposed in H.R. 323 in 1993 and 1994 by Congressman Charles Rangel. 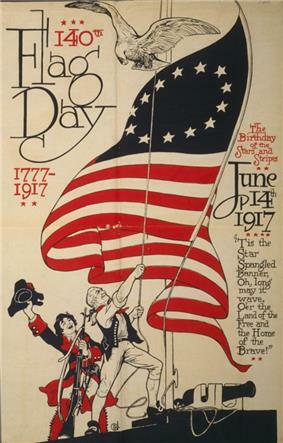 June 14 Flag Day Proposed several times, but only to become a national observance when President Harry Truman signed it into law as such. Third Monday of September Native Americans' Day The holiday was petitioned to Congress multiple times, but was unsuccessful. The proclamation exists today as the "Native American Awareness Week." First Tuesday after November 1 Election Day There have been multiple movements for this holiday to be official, with the last happening in with the "1993 Motor Voter Act", mainly to boost voter turnout. The Congress has designated various United States federal observances—days, weeks, months, and other periods for the observance, commemoration, or recognition of events, individuals, or other topics. These observances do not have the status of holidays in that federal employees do not receive any days free from work for observances. Trading holidays of the New York Stock Exchange closely resembles those designated as federal holidays except for Columbus Day and Veterans Day. 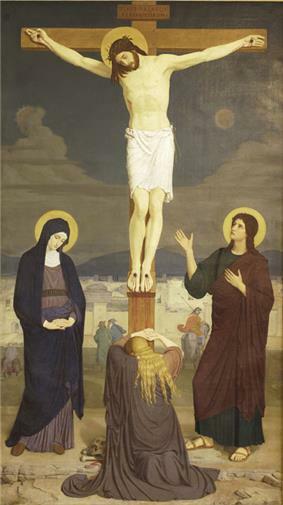 A total of nine days are designated, which includes Good Friday where trading is not done. In addition, partial trading occurs on the day after Thanksgiving, the day before Independence Day, and Christmas Eve. U.S. bank holidays are generally the same as those observed at the federal level, but depend on the bank. For example, Columbus Day. U.S. Bank on the other hand observes all of the federal holidays. In the United States, there are 180 school days in a year (college/universities often shorter). School holidays (also referred to as vacations, breaks, and recess) are the periods during which schools are closed. The dates and periods of school holidays vary considerably throughout the world, and there is usually some variation even within the same jurisdiction. Governments often legislate on the total number of school days for state schools. The holidays given below apply to primary and secondary education. Teaching sessions (terms or semesters) in tertiary education are usually shorter. Christmas/Holiday break - December 23 to first weekday in January after New Year's Day. In some areas it is the first Monday after New Year's. In years where January 1 (New Year's Day) falls on a Sunday, such as 2012, the next day -- Monday, January 2 -- is also taken off and schools may not start until Tuesday, January 3. Spring break - one week in April (usually around Easter). Summer break - About 10 – 11 weeks (either from end of May to end of August, or early June to the day after Labor Day in early September - depending on region and state). All federal and state holidays, including religious holidays (such as Good Friday, and sometimes Jewish/Islamic holidays) - depending on school demographic. Snow Days (on days where snowstorms or other inclement weather makes travel unsafe) - usually given one to two days, but it could be make up if schools are having many snow days. These are usually unscheduled. Many public schools also have Teacher's Day off (convention) - 2 to 3 days any day in school calendar. Christmas/Holiday & Winter break - December 23 to mid/end of January (Winter classes could be taken after New Year). Spring Break - one week in March or early April. Summer Break - Early/mid of May to day after Labor day in early September (Summer classes could be taken). Snow Days (In regions where it snows in winter) - usually given few days, and no days to make up. Most colleges and universities are divided into two semesters in a school year. The first starting from day after Labor Day in early September until December 23, and the second starting middle or end of January until early/mid May. Winter and summer classes could be taken in between the breaks. While most stores close on Christmas, some remain open. For example, convenience stores such as 7-Eleven and CVS Pharmacy remain open. A reference in A Christmas Story shows a Chinese restaurant being the only establishment open on Christmas. Also, many Jewish establishments remain open on Christmas, but will close on Hannukah instead.. Also, many Jews now go to the movies and go to Chinese restaurants on Christmas or Christmas Eve. Easter is recognized as a flag day but has not been a federal holiday because it always falls on a Sunday, which is a non-working day for federal and state employees. However, many companies, including banks, malls, shopping centers and most private retail stores that normally open on Sundays are closed on Easter. March 17 St. Patrick's Day A holiday honoring Saint Patrick that celebrates Irish culture. Primary activity is simply the wearing of green clothing ("wearing o' the green"), although drinking beer dyed green is also popular. Big parades in some cities, such as in Chicago, where there is also a tradition of dying the Chicago River green. The Friday before (western) Easter Good Friday Friday of Holy Week, when Western Christians commemorate the  Many public and private schools, colleges, universities and private-sector businesses; and the New York Stock Exchange and financial markets are closed on Good Friday. Sunday following the Paschal Full Moon, date varies from March 22 to April 25, inclusive (see Computus), Easter Celebration of the resurrection of Jesus in most Western Christian churches. A minority of Protestant churches do not observe Easter. Eastern Orthodox (including Western Rite), Oriental Orthodox and some Neo-Celtic churches observe Easter according to a different calendar, usually on a later Sunday (thus they also observe Palm Sunday and Good Friday on different days than Western Christians). Many Americans decorate hard-boiled eggs and give baskets of candy, fruit, toys and so on, especially to children; but gifts of age-appropriate Easter baskets for the elderly, the infirm and the needy are increasingly popular. An annual Easter Egg Roll has been held at the White House South Lawn for young children on Easter Monday since President Hayes started the tradition in 1878. Not a federal holiday due to the fact that it always falls on a Sunday, which is a non-working day for federal and state employees. Many companies that are normally open on Sunday close for Easter. October 31 Halloween Originally the end of the Celtic year, it now celebrates Eve of All Saint's Day. Decorations include jack o'lanterns. Costume parties and candy such as candy corn are also part of the holiday. Kids go "trick-or-treating" to neighbors who give away candy. Not generally observed by businesses. According to various sources, the three most commonly celebrated Jewish holidays are Rosh Hashanah, Yom Kippur and Hannukah. Passover and Yom Kippur in addition to Rosh Hashannah and Hannukah are recognized as an optional state level holiday in the U.S. state of Texas All Jewish holidays start the night before, as that is when the Jewish day begins. Usually April (very rarely starts in March or ends in May) (depends on Hebrew Calendar) Passover A seven- or eight-day festival in Judaism(seven days in Israel, eight outside of Israel), commemorating the Exodus of the Jews from Egypt. For Karaite Jews, Passover is the holiest day of the year and is the festival that marks the beginning of the year. Some Christian groups celebrate Passover instead of Easter. In many regions with large Jewish communities, schools close for all or part of Passover. September (depends on Hebrew calendar) Rosh Hashanah Observed by Jewish people. Traditional beginning of the Jewish High Holidays. It also celebrates the beginning of a new year on the Hebrew calendar. In regions with large Jewish populations, schools and universities may close on Rosh Hashanah. It is a widely accepted custom to dip an apple in honey on the first night. Unlike other holidays where the Diaspora (outside of Israel) celebrate extra days, this holiday is observed for two days everywhere. September or October (depends on Hebrew calendar) Yom Kippur Observed by Jewish people. This day marks the end of the Ten Days of Penitence that began with Rosh Hashanah. It is described in Leviticus as a "Sabbath of rest," and synagogue services begin the preceding sundown, resume the following morning, and continue to sundown. Orthodox and many Conservative Jews fast on Yom Kippur. In regions with large Jewish populations, schools and universities may close on Yom Kippur. 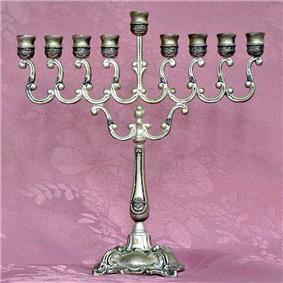 December ( very rarely starts in November or ends in January) (depends on Hebrew calendar) Hanukkah An eight-day Jewish holiday commemorating the rededication of the Second Temple in Jerusalem at the time of the Maccabean Revolt of the 2nd century BC. Candelabras are lit, one candle on the first night and adding one candle per night. It is also a widely accepted custom to spin a top like toy called a dreidel, and to give coins to the children. In regions with large Jewish populations, schools and universities may close for part of Hanukkah. February or March (depends on Hindu calendar) Holi Holi (English pronunciation: ) (Sanskrit: होली) is a spring festival also known as festival of colours, and sometimes festival of love. It is an ancient Hindu religious festival which has become popular with non-Hindus in many parts of South Asia, as well as people of other communities. October or November (depends on Hindu calendar) Diwali Diwali (English pronunciation: or English pronunciation: ) also called the "festival of lights", is an ancient Hindu festival celebrated in autumn every year. The festival spiritually signifies the victory of light over darkness, knowledge over ignorance, good over evil, and hope over despair. The festival preparations and rituals typically extend over a five day period, but the main festival night of Diwali coincides with the darkest, new moon night of the Hindu Lunisolar month Kartik. 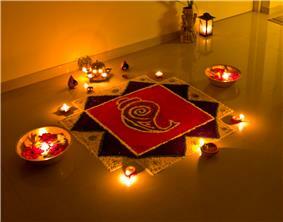 In the Gregorian calendar, Diwali night falls between mid-October and mid-November. 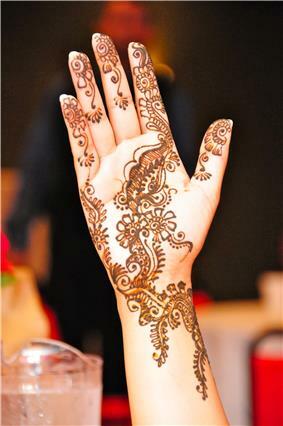 Mehndi is the application of henna as a temporary form of skin decoration, commonly applied during Eid al-Fitr. According to various sources, the major holidays of Ramadan, Eid al-Fitr, and Eid al-Adha have been recognized in the United States. Awareness of these holidays can be found in calendars published by major calendar manufacturers. According to Al-Jazeera, schools in the U.S. states of New York and Michigan (mainly Dearborn) may begin to close in observance of all Muslim holidays. July or August (depends on Muslim calendar) Ramadan Ramadan (Arabic: رمضان‎ Ramaḍān, IPA: ; Persian: رَمَضان‎ Ramazān; Urdu: رَمْضان‎ Ramzān; Turkish: Ramazan) is the ninth month of the Islamic calendar; Muslims worldwide observe this as a month of fasting. This annual observance is regarded as one of the Five Pillars of Islam. The month lasts 29–30 days based on the visual sightings of the crescent moon, according to numerous biographical accounts compiled in the hadiths. The word Ramadan comes from the Arabic root ramiḍa or ar-ramaḍ, which means scorching heat or dryness. Fasting is fard ("obligatory") for adult Muslims, except those who are ill, traveling, pregnant, breastfeeding, diabetic or going through menstrual bleeding. Fasting the month of Ramadan was made obligatory (wājib) during the month of Sha'aban, in the second year after the Muslims migrated from Mecca to Medina. July or August (depends on Muslim calendar) Eid al-Fitr Eid al-Fitr (Arabic: عيد الفطر‎ ʻĪd al-Fiṭr, IPA: , "festival of breaking of the fast"), also called Feast of Breaking the Fast, the Sugar Feast, Bayram (Bajram), the Sweet Festival and the Lesser Eid, is an important religious holiday celebrated by Muslims worldwide that marks the end of Ramadan, the Islamic holy month of fasting (sawm). The religious Eid is a single day and Muslims are not permitted to fast on that day. The holiday celebrates the conclusion of the 29 or 30 days of dawn-to-sunset fasting during the entire month of Ramadan. The day of Eid, therefore, falls on the first day of the month of Shawwal. This is a day when Muslims around the world show a common goal of unity. The date for the start of any lunar Hijri month varies based on the observation of new moon by local religious authorities, so the exact day of celebration varies by locality. However, in most countries, it is generally celebrated on the same day as Saudi Arabia. September or October (depends on Muslim calendar) Eid al-Adha Eid al-Adha (Arabic: عيد الأضحى‎ ʿīd al-aḍḥā meaning "Festival of the sacrifice"), also called the Feast of the Sacrifice, the Major Festival, the Greater Eid, Kurban Bayram (Turkish: Kurban Bayramı; Bosnian: kurban-bajram), Eid e Qurban (Persian: عید قربان‎) or Bakr'Eid (Urdu: بکرا عید‎), is the second of two religious holidays celebrated by Muslims worldwide each year. It honors the willingness of Abraham (Ibrahim) to sacrifice his young first-born son Ishmael (Ismail) as an act of submission to God's command, before God then intervened to provide Abraham with a lamb to sacrifice instead. In the lunar-based Islamic calendar, Eid al-Adha falls on the 10th day of Dhu al-Hijjah and lasts for four days. In the international Gregorian calendar, the dates vary from year to year, drifting approximately 11 days earlier each year. February 26 (varies by location and observance) Trayvon Martin Day Anniversary of the Shooting of Trayvon Martin. April 29-May 2 (varies by location and observance) Rodney King Day Anniversary of the 1992 Los Angeles riots. May 1 May Day In most other countries, May 1 is International Workers' Day, the equivalent of Labor Day, and some Americans do observe May 1 in that context. But before it was a labor-related holiday, May Day was a Celtic and English holiday that celebrated the transition from Spring to Summer, and it is that holiday that those Americans and Canadians who still celebrate May Day call to mind. August 9 (varies by location and observance) Michael Brown Day Anniversary of the Shooting of Michael Brown and the beginning of the 2014 Ferguson unrest. August 26 Women's Equality Day Celebrates the fight for, and progress towards, equality for women. Established by the United States Congress in 1971 to commemorate two anniversaries: Passage of the Nineteenth Amendment to the United States Constitution ensuring Woman Suffrage in 1920 and a nation-wide demonstration for equal rights, the Women's Strike for Equality, in 1970. First Sunday after Labor Day Grandparent's Day Similar to Mother's/Father's Day but honoring grandparents and grandparenthood. 4th Friday in November - "Lincoln's Day"
While most federal holidays are observed at the state level, some of these holidays are observed with different names, are observed on different days, or completely not observed in some states of the United States. ^ a. For example, Martin Luther King, Jr. Day is known officially as Martin Luther King, Jr./Civil Rights Day in Arizona, and New Hampshire, Dr. Martin Luther King Jr. and Robert E. Lee's Birthdays in Arkansas, Birthday of Dr. Martin Luther King, Jr. in Florida, and Maryland, Martin Luther King Jr. / Idaho Human Rights Day in Idaho, and Martin Luther King's and Robert E. Lee's Birthdays in Mississippi. ^ b. Washington's Birthday is known officially as President's Day in Alaska, California, Hawaii, Idaho, Maryland, Nebraska, New Hampshire, Ohio, Tennessee, Washington, West Virginia, and Wyoming, Washington - Lincoln Day in Colorado (CRS 24-11-101), Lincoln/Washington/Presidents' Day in Arizona, George Washington's Birthday and Daisy Gatson Bates Day in Arkansas, Presidents' Day in Hawaii, Massachusetts, New Mexico, Oklahoma, South Dakota, Texas, and Vermont, Washington's Birthday/President's Day in Maine, Presidents Day in Michigan, Minnesota, Nevada, New Jersey, and Oregon, Lincoln's and Washington's Birthday in Montana, Recognition of the birthday of George Washington in North Dakota, Washington and Lincoln Day in Utah, and George Washington Day in Virginia. ^ The day after Thanksgiving is observed in lieu of Columbus Day in Minnesota. ^ Columbus Day is listed as a state holiday in New Hampshire although state offices remain open. ^ President's Day, Good Friday (11am-3pm), Juneteenth Day (June 19), Columbus Day, Veteran's Day, Partisan Primary Election Day, and General Election Day are listed as a state holiday in Wisconsin although state offices remain open. Celebrate Freedom Week (Arkansas, Florida, Kansas, Oklahoma and Texas), various weeks depending on state. DC Emancipation Day (Washington, D.C.), April 16. Legal public holiday. If during the weekend, observed on the nearest weekday. If April 16 falls on a Saturday, Sunday, or Monday, it will nationally extend the federal income tax filing deadline. Mardi Gras, held the day before Ash Wednesday. Florida, legal holiday in counties where carnival associations are organized for the purpose of celebrating the same. Meck-Dec Day (Charlotte and Mecklenburg County, North Carolina), May 20. 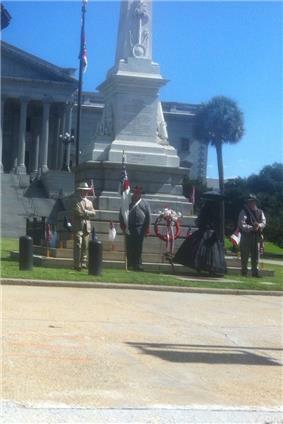 Celebrates the signing of the Mecklenburg Declaration of Independence. Patriots' Day (Massachusetts and Maine), third Monday in April. Commemorates the Revolutionary War and is the day of the Boston Marathon. Different from Patriot Day (September 11). Pioneer Day (Utah), July 24. Commemorates the arrival of the Mormon Pioneers to the Great Salt Lake Valley. Return Day (Sussex County, Delaware), November 4 after noon. 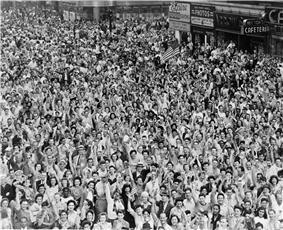 Population meets to hear election returns, celebrate. Seward's Day (Alaska, last Monday of March. Date of the signing of the Alaska Purchase treaty. Festivus (December 23): made famous on the television show Seinfeld. ^ a b "Federal Holidays". Opm.gov. Retrieved 2014-03-03. ^ "State Holidays". Infoplease.com. Retrieved 2014-03-03. ^ "Christmas may be on the cards, but is it the most popular American holiday?". ^ "Hours". Mall of America. Retrieved 2014-03-03. ^ a b c "Optional Time-Off Benefits You Can Give Your Employees | BizFilings Toolkit". Toolkit.com. 2012-05-25. Retrieved 2014-03-03. ^ "5 U.S. Code § 6103 - Holidays | LII / Legal Information Institute". Law.cornell.edu. Retrieved 2014-03-03. ^ "New Year's Traditions". Infoplease.com. 2004-12-16. Retrieved 2014-03-03. ^ "5 U.S. Code § 6103 - Holidays | LII / Legal Information Institute". .law.cornell.edu. Retrieved 2014-03-03. ^ "Where they still celebrate Victory over Japan". ^ "What does it take for a federal holiday". ^ "H.R. 655 - Susan B. Anthony Birthday Act". 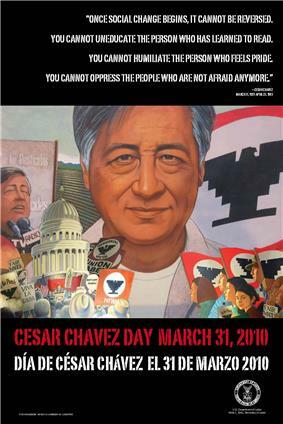 ^ "Barack Obama calls for National Holiday for Cesar E. Chavez". ^ "A History of National Native American Heritage Month: The Nation’s Efforts to Honor American Indians and Alaska Natives". ^ "Should Election Day be a Holiday?". ^ "NYSE Holidays and Hours". ^ "JP Morgan Chase Bank Holidays". ^ "US Bank HR Employee Holidays". ^ "Among Wealthy Nations U.S. Stands Alone in its Embrace of Religion". Pew Global Attitudes Project. Retrieved 2007-01-01. ^ Nones" on the Rise""". The Pew Forum. 2012-10-09. Retrieved 2012-12-29. ^ US Census Bureau (Internet Release Date: 09/30/2011). "Table 75. Self-Described Religious Identification of Adult Population: 1990, 2001 and 2008, The methodology of the American Religious Identification Survey (ARIS)". US Census Bureau 2012 Statistical Abstract. Retrieved Feb 11, 2012. ^ "The Pew Forum on Religion & Public Life – Asian Americans: A Mosaic of Faiths". Pewforum.org. 2012-07-19. Retrieved 2012-12-29. ^ a b Department of Information Technology. "About Connecticut". CT.gov. Retrieved 2014-03-03. ^ a b "Delaware - Office of Management and Budget - State of Delaware Holidays". Delawarepersonnel.com. Retrieved 2014-03-03. ^ a b "Florida Laws: FL Statutes - Title XXXIX Commercial Relations Section 683.01 Legal holidays. - Florida Attorney Resources - Florida Laws". Law2.onecle.com. 2013-05-31. Retrieved 2014-03-03. ^ a b "Hawaii State Holidays for 2014". Miraclesalad.com. Retrieved 2014-03-03. ^ a b "Secretary of State: 2011 Indiana State Holidays". In.gov. Retrieved 2014-03-03. ^ a b Sandra G. Gillen, CPPB. "2014 State Holidays Calendar Observed by OSP". Doa.louisiana.gov. Retrieved 2014-03-03. ^ a b "The Official Web Site for The State of New Jersey | State Holidays". Nj.gov. Retrieved 2014-03-03. ^ a b "N.C. State Government Holiday Schedule for 2013 and 2014". Ic.nc.gov. Retrieved 2014-03-03. ^ a b "North Dakota State Holidays 2014". The Holiday Schedule. Retrieved 2014-03-03. ^ a b "Official State Holidays". TN.gov. Retrieved 2014-03-03. ^ a b c "Texas State Holidays 2014". The Holiday Schedule. Retrieved 2014-03-03. ^ "What will be open Christmas Day". ^ "Diwali 2013 in the USA and UK". ^ "Color Me Rad 5K - 2 Million Fans with New Color Blaster". ^ "USA: Hindus laud New York City Council for resolution on Diwali holiday in City schools". ^ "6 things you should know about Diwali". ^ The New Oxford Dictionary of English (1998) ISBN 0-19-861263-X - p.874 "Holi /'həʊli:/ noun a Hindu spring festival ...". ^ The New Oxford Dictionary of English (1998) ISBN 0-19-861263-X - p.540 "Diwali /dɪwɑːli/ (also Divali) noun a Hindu festival with lights...". ^ Vera, Zak (February 2010). Invisible River: Sir Richard's Last Mission. ^ "New York Schools Could Get Muslim Holidays". ^ "Muslims worldwide start to observe Ramadan". The Global Times Online. 2012. Retrieved 28 July 2012. ^ "The Muslim World Observes Ramadan". Power Text Solutions. 2012. Retrieved 28 July 2012. ^ "Schools - Religions". BBC. Retrieved 2012-07-25. ^ Bukhari-Ibn-Ismail, AbdAllah-Muhammad. "Sahih Bukhari - Book 031 (The Book of Fasting), Hadith 124.". hadithcollection.com. Retrieved 25 July 2012. ^ Muslim-Ibn-Habaj, Abul-Hussain. "Sahih Muslim - Book 006 (The Book of Fasting), Hadith 2378.". hadithcollection.com. Retrieved 25 July 2012. ^ Muslim-Ibn-Habaj, Abul-Hussain. "Sahih Muslim - Book 006 (The Book of Fasting), Hadith 2391.". hadithcollection.com. Retrieved 25 July 2012. ^ Elias, Jamal J. (1999). Islam. Routledge. p. 75. ^ "BBC – Religion & Ethics – Eid el Adha". Retrieved December 2007, December 29, 2012. ^ "AL holidays". Retrieved 2010-03-07. ^ a b "Section 1-3-8 of the Code of Alabama, 1975". ^ "Alaska State Holidays". Retrieved 2010-03-04. ^ Arizona State Library, Archives and Public Records (2010-12-30). "ASLAPR - Helpful Links - About Arizona". Arizona State Library, Archives and Public Records. Retrieved 2011-01-18. ^ "State Holidays in Arkansas". Retrieved 2010-03-05. ^ "State Holidays". Department of Personnel Administration. Retrieved 2010-02-11. ^ Office of the Governor of Colorado (2010). "Satellite" (PDF). Office of the Governor of Colorado. Retrieved 2011-01-18. ^ Connecticut Department of Banking (2011). "DOB: Year 2011 Legal Holidays in Connecticut". Connecticut Department of Banking. Retrieved 2011-01-18. ^ Delaware Office of Management and Budget (2010-07-06). "Delaware - Office of Management and Budget - 2009 State of Delaware Holidays". Delaware Office of Management and Budget. Retrieved 2011-01-18. ^ District of Columbia Department of Human Resources. "Department of Human Resources: 2011 Holidays". District of Columbia Department of Human Resources. Retrieved 2011-01-18. ^ The Florida Legislature (2010). "The 2010 Florida Statutes(including Special Session A)". Official Internet Site of the Florida Legislature. Retrieved 2011-07-26. ^ Florida Department of Management Services (2010). "2010 and 2011 State Holidays / For State HR Practitioners / Human Resource Management / Human Resource Support / Department of Management Services - DMS". Florida Department of Management Services. Retrieved 2011-01-18. ^ State of Georgia. "georgia.gov - State Holidays". georgia.gov. State of Georgia. Retrieved 2011-01-18. ^ "State Holidays of Hawaii". Retrieved 2010-02-27. ^ Idaho State Treasurer's Office (2011). "Idaho State Treasurer's Office". Idaho State Treasurer's Office. Retrieved 2011-01-18. ^ "Holidays in Illinois". Retrieved 2010-03-04. ^ Indiana State Personnel Department. "SPD: State Holidays". Indiana State Personnel Department. Retrieved 2011-01-18. ^ The Iowa Legislature (2011). "Iowa Legislature - Advanced Search". The Iowa Legislature. Retrieved 2011-01-18. ^ "State Holidays". Department of Administration. Retrieved 2010-03-05. ^ "Louisiana state holidays". Retrieved 2010-03-07. ^ "State Holidays". Retrieved 2010-03-05. ^ "2011 Calendar of Legal Holidays for State Employees in the Classified Service of the Executive Branch". New York State Civil Service. Retrieved 2011-06-17. ^ "State Holidays". Retrieved 2010-02-27. ^ "Official Texas State Holidays". Texas State Library and Archives Commission. Retrieved 2010-02-11. ^ "Commonwealth of Virginia 2011 Pay and Holiday Calendar". Virginia Department of Human Resource Management. Retrieved 2011-01-10. ^ a b "State Service Holiday". State of Arizona. Arizona Department of Administration Human Resources Division. Retrieved January 16, 2012. ^ a b c "Holidays for Calendar Year 2012" (PDF). State of New Hampshire. New Hampshire Department of Administrative Services Division of Personnel. Retrieved January 16, 2012. ^ a b "State Holiday Calendar". State of Arkansas. Arkansas Secretary of State. Retrieved January 16, 2012. ^ "2014 State Holidays". State of Florida. ^ a b "State Holidays for the Year 2012". State of Maryland. Maryland Department of Budget and Management. June 2011. Retrieved January 16, 2012. ^ a b c "State Holiday". State of Idaho. Idaho Secretary of State. Retrieved January 16, 2012. ^ a b c "State Holidays in Mississippi". Mississippi Secretary of State. Retrieved January 16, 2012. ^ "2014 State Holiday Calendar" (PDF). State of Alaska. Alaska Department of Administration Division of Finance. 6 June 2013. Retrieved 22 July 2014. ^ "2014 State Holidays". State of California. 29 April 2014. Retrieved 22 July 2014. ^ a b "Holidays to be Observed by the Hawaii State Government" (PDF). State of Hawai'i. Hawaii Department of Human Resources Development. January 5, 2011. Retrieved January 16, 2012. ^ "Holiday Schedule". State of Nebraska. Nebraska Department of Administrative Services Personnel Division. Retrieved January 16, 2012. ^ "2012 State Holidays". State of Ohio. Retrieved January 16, 2012. ^ "Official State Holidays". State of Tennessee. Retrieved January 16, 2012. ^ "State holiday schedule". State of Washington. Washington State Department of Revenue, however contrary to this reference, Washington law RCW 1.16.050 establishes usage as Presidents' Day. Retrieved January 16, 2012. ^ "WV State Holidays". West Virginia Department of Health and Human Resources Bureau for Public Health Health Statistics Center. Retrieved January 16, 2012. ^ "Official State Holidays". State of Wyoming. Wyoming Secretary of State. Retrieved January 16, 2012. ^ "Colorado Revised Statute 24-11-101 Legal holidays - effect". via LexisNexis. Retrieved February 18, 2014. ^ "Calendar Year 2012 Legal Holidays and Dates of Observance". Commonwealth of Massachusetts. Massachusetts Department of the State Treasurer Alcoholic Beverages Control Commission. Retrieved January 16, 2012. ^ "Official State Holidays". New Mexico State Treasurer's Office. Retrieved January 16, 2012. ^ "Holidays for State Employees". State of Oklahoma. Oklahoma Office of Personnel Management. Retrieved January 16, 2012. ^ "Schedule of Office Closures for State-recognized holidays". State of South Dakota. South Dakota Department of Labor and Regulation. Retrieved January 16, 2012. ^ "Official Texas State Holidays". State of Texas. Texas State Library and Archives Commission. Retrieved January 16, 2012. ^ "State Holiday Schedule". State of Vermont. Vermont Agency of Administration Department of Human Resources. Retrieved January 16, 2012. ^ "2012 Holiday Schedule". State of Maine. Maine Department of Administrative and Financial Services Bureau of Human Resources. Retrieved January 16, 2012. ^ "Official Holidays". State of Michigan. Retrieved January 16, 2012. ^ a b "Court Holidays". Minnesota Judicial Branch. Retrieved January 16, 2012. ^ "Holidays". State of Nevada. Nevada Department of Personnel. February 19, 2008. Retrieved January 16, 2012. ^ "State Holidays". State of New Jersey. Retrieved January 16, 2012. ^ "Chapter 187 — Holidays; Standard of Time; Commemorations". State of Oregon. Oregon Legislative Website. Retrieved October 13, 2013. ^ "Holidays Observed 2012" (PDF). State of Montana. Montana State Human Resources Division. Retrieved January 16, 2012. ^ "Holidays". State of North Dakota. North Dakota Human Resource Management Services. Retrieved January 16, 2012. ^ "Legal holidays – Personal preference day – Governor authorized to declare additional days.". State of Utah. Utah State Legislature. Retrieved January 16, 2012. ^ "Pay and Holiday Calendar". Commonwealth of Virginia. Virginia Department of Human Resource Management. 2011. Retrieved January 16, 2012. ^ "Benefits Available to State of Wisconsin Employees". State of Wisconsin. Wisconsin Department of Health Services. Retrieved January 16, 2012. ^ "Wisconsin State Statute 995.20 Legal Holidays". State of Wisconsin. Wisconsin State Legislature. Retrieved December 24, 2013. ^ "Official State Holidays". State of Alabama. Alabama State Personnel Department. Retrieved January 16, 2012. ^ a b "Sec. 44.12.010. Legal holidays.". Alaska Statutes. Alaska Legislature. 2012. Retrieved 22 July 2014. ^ "The Vermont Statutes Online, Title 1: General Provisions; Chapter 7: Legal Holidays; Commemorative Days. 1 V.S.A. § 371 - Legal Holidays". Retrieved 2014-04-13.